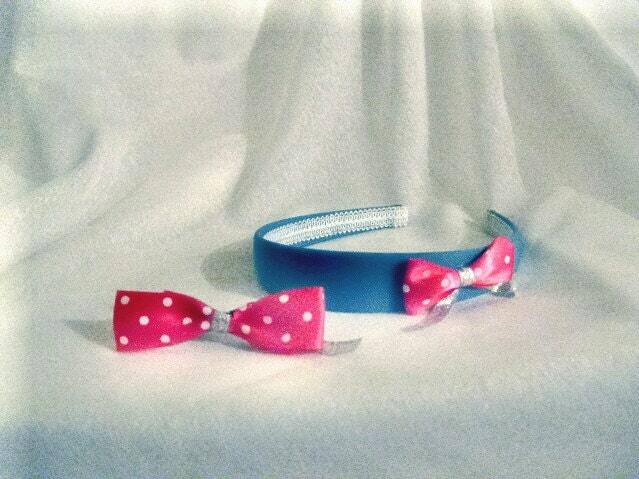 This girls headband and clip set is just adorable and the perfect thing to adorn your precious little girl's hair! The headband is standard size and fits any head age 3+ to adult. It's soft and confortable as well! The hair clip is also comfortable and large enough to hold quite a bit of hair on a child.